Herbalife Philippines partners with the Philippine Volcanoes! DGlobal nutrition company, Herbalife Nutrition proudly announces its newest sports partnership with one of the most exciting team in the local sports scene to date, the Philippine Rugby Football Team-Philippine Volcanoes. 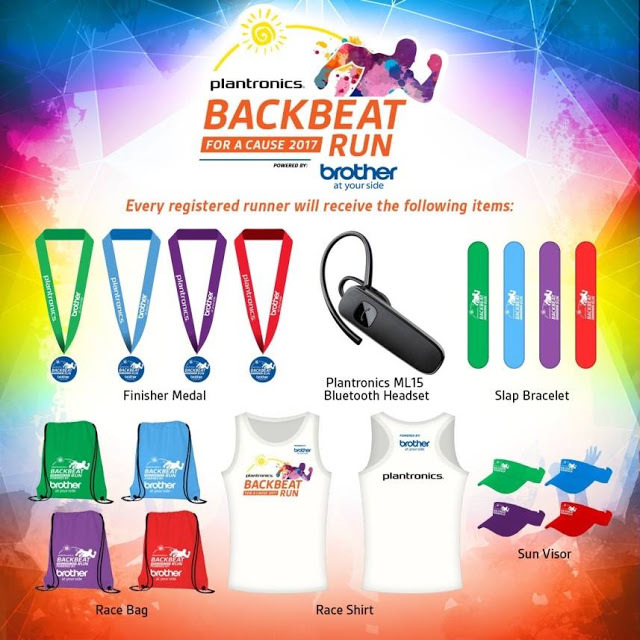 Join this year's Back Beat Run for a cause! I am not really a fan of attending fun runs because I easily get tired, obviously because of my weight, but when it comes to runs for a cause, all the sweat and muscle pains are worth it. 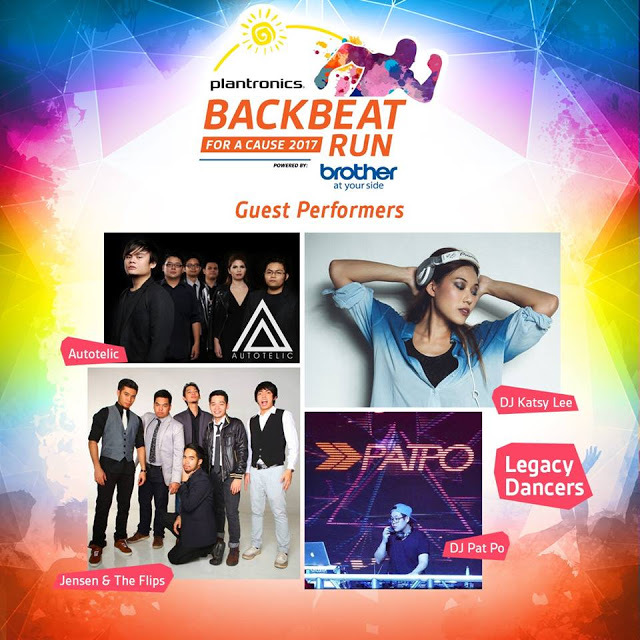 So for my first run this year, I am very happy and excited to be part of Back Beat Run 2017 which will be on May 28, 2017 at SM Mall Of Asia Complex. Back Beat Run 2017 is not your average fun run. You'll experience different on-ground activities as well as an ultimate summer party with live performances from Autotelic, Jensen & the Flips, DJ Pat Po, DJ Katsy Lee, Legacy Dancer and a lot more. 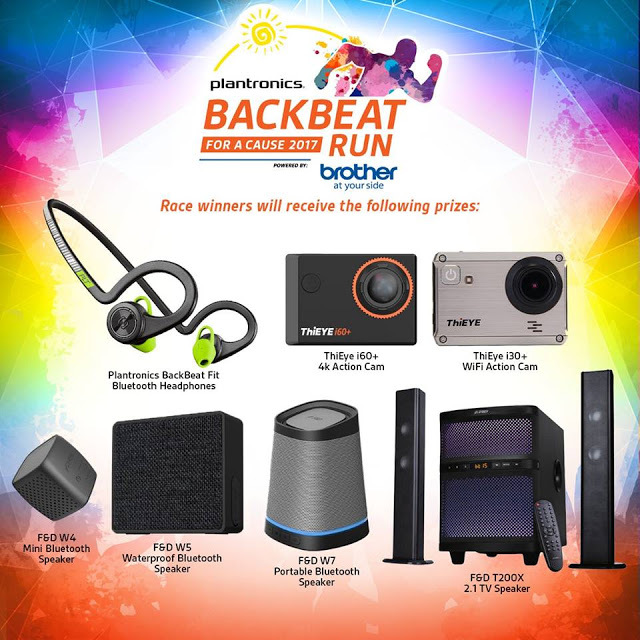 What I love about Back Beat Run is that once you join, you get so many freebies and if you are one of the race winners, you get awesome prizes, thanks to the very generous brands that are behind these run: Plantronics and Brother Philippines. Last April 17, 2017, we got to learn more about this run, the organizers/brands as well as the foundation which will benefit from this event through a media conference held at Abe Restaurant in SM Mall Of Asia. But the best part of the media con is knowing the Kythe Foundation which will benefit on the Back Beat Run 2017. Kythe is a non-profit, non-stock organization aimed towards improving the quality of life among hospitalized children with cancer and other chronic illness. They are the first and only group of trained professionals here in the country that offers the Kythe Child Life Program and as of today, they have provided psychosocial support to over 8,000 children with cancer and other chronic illness and their families since 1992. So what are you guys waiting for? This is such a great opportunity to exercise, get amazing freebies and most importantly, help the beneficiaries of Kythe Foundation. For those who are interested to be part of Back Beat Run 2017, you can now register online or visit participating Runnr (Trinoma, BGC, Alabang Town Center) and Toby's (Edsa Shangri-la, Glorietta, SM Mall of Asia) branches til May 15, 2017. For more information, you can visit my Back Beat Run 2017 article. See you there! Last year, I was able to attend an LG Philippines event as they launched their award winning LG G5 Smart Phone along with its accessories. I was so in loved with the how the accessories really made the smart phone's features a lot more awesome. With its worldwide success, everyone had higher expectation on the next LG smartphone to be released on the 2017's Mobile World Congress. But to no surprise, LG G6 was hailed as 2017's best smart phone by global tech experts Wired, Android Authority, Digital Trends, PCMag and TeachRadar as it was launched globally two months ago at the MWC. 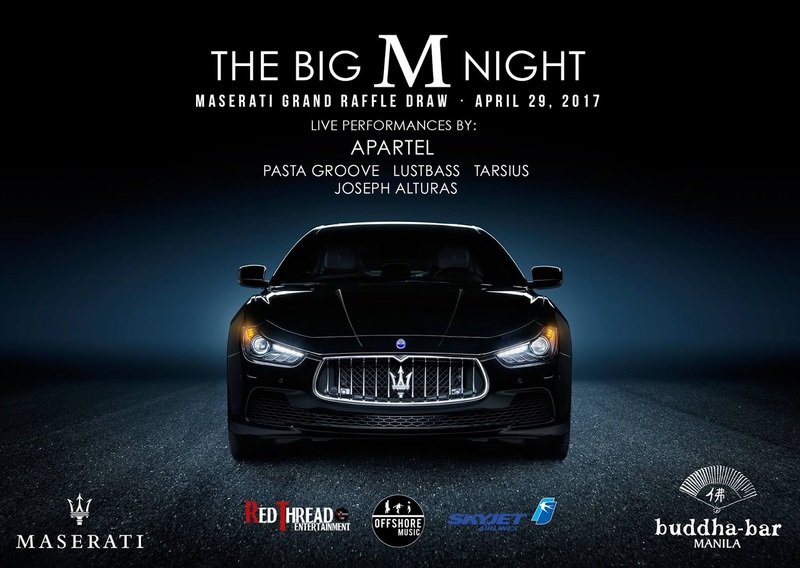 Then last April 18, 2017 it was officially launched here in the country with a massive event at SM Mega Fashion Hall. Thanks to Ms. Millet of DDB Philippines, I became a part of the launch where consumers, media partners and celebrities gathered together to experience LG's latest flagship, the LG G6. Prominent personalities like LA Tenorio and Sharlene San Pedro graced the event and encouraged the public to try out the smartphone, while respected industry names shared their own acclaims from different points of view. Social media influencer Janeena Chan raved about the G6 camera’s square feature and wide-angle mode while Spot.ph’s Owen Maddela shared his experience with the Food Mode. Director of local blockbuster “I’m Drunk, I Love You” JP Habac commended the G6’s video taking and Dolby Vision capabilities, while the Hi-Fi Quad DAC audio quality was lauded by Yael Yuzon, the lead singer of popular music band Sponge Cola. Taking photos and videos of our travel has been a must so that we may capture the beauty of the place/paradise we are in. Although it wouldn't really give justice to how magnificent it truly looks, this is the closest thing we could get as memorabilia for such an awesome experience. That is why, nowadays, a lot of people invest on their gadgets, such as cameras or mobile phones. It can be quite pricey, but no worries because the ever so affordable CD-R King has all the must have equipment you need for your next summer destination. Are your photos usually blurred? Or does your video make you feel dizzy because you can't keep your hand and your phone steady? Well, I highly recommend you use CD-R King's Smart Phone Stabilizer. It is a battery-operated hand grip that uses multi motors to eliminate shakes by automatically adjusting to your movements, plus, you can even capture motions while you are running. It operates with a turntable design, which is used to position your camera phone in any direction/orientation. 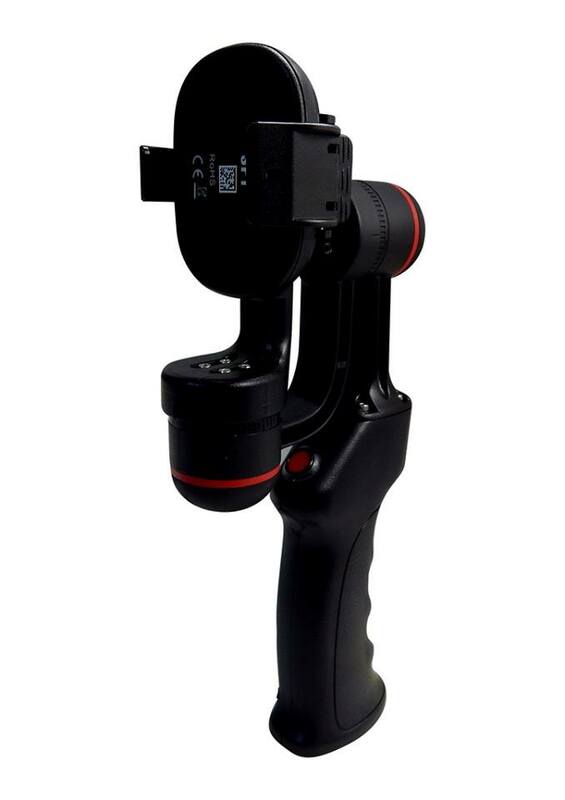 Lastly, their Tilt Angle Joystick that gives you the ability to adjust your angle of shooting right at your fingertip. 2. CD-R King Drone: Have you seen those awesome videos where they capture an over view of an island? They usually use a drone to achieve those but it can be very expensive. Don't worry because they are now available at CD-R King! It is lightweight and portable, which you can fold into a six inch gadget. It also has a gravity sensor that operates up to 30 meter control distance. You can connect it to a Wifi and a Smart Phone and control it from there. It also has a real-time transmission FPV system which can capture photos and record videos thru an adjustable camera angle. This gadget runs on a rechargeable Lithium-Ion battery. 3. 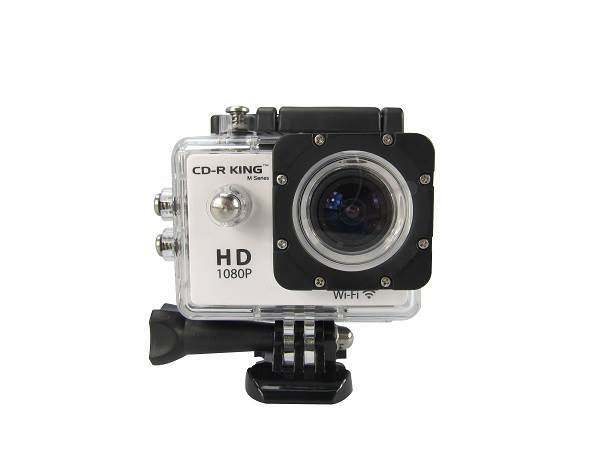 CD-R King Action Camcorder: Capture all those activities and even underwater shots (when used with its waterproof case: up to 30 meters deep) using the action cam with all the accessories/mounts you will need, hands free. You can easily retrieve photos and videos because this can be connected through Wifi and automatically viewed on your smart phones or tablets. 4. 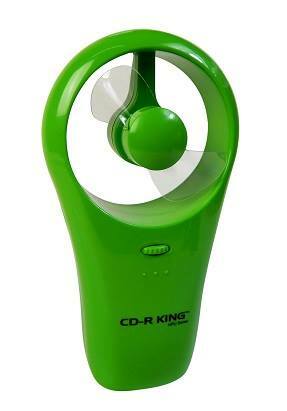 CD-R King Portable Fan: Last but definitely not the least, you wouldn't want to get heat exhaustion while having fun under the sun, right? So why not bring a portable fan with you? You can charge it using thru USB or power it up thru AA batteries. The best part is that all these can be purchased at very affordable prices in all CD-R King branches nationwide! You can even buy it online through Lazada and get it delivered straight to your home. 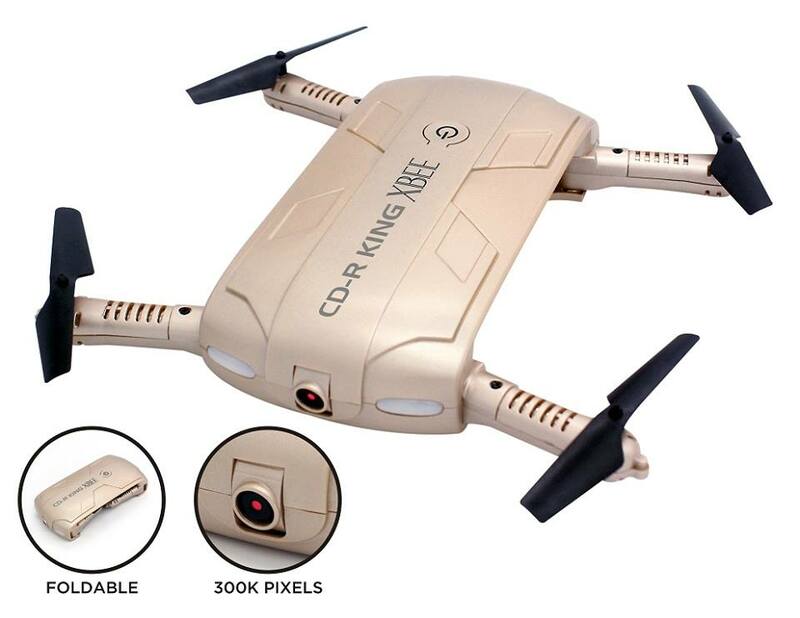 To know more of what CD-R King has in store for everyone, you may visit their Website or you may also follow them on their Facebook Page to get updates on their newest products. Have a fun-filled summer!! One of the things that I look forward to during the first quarter of the year is planning our company's summer outing. 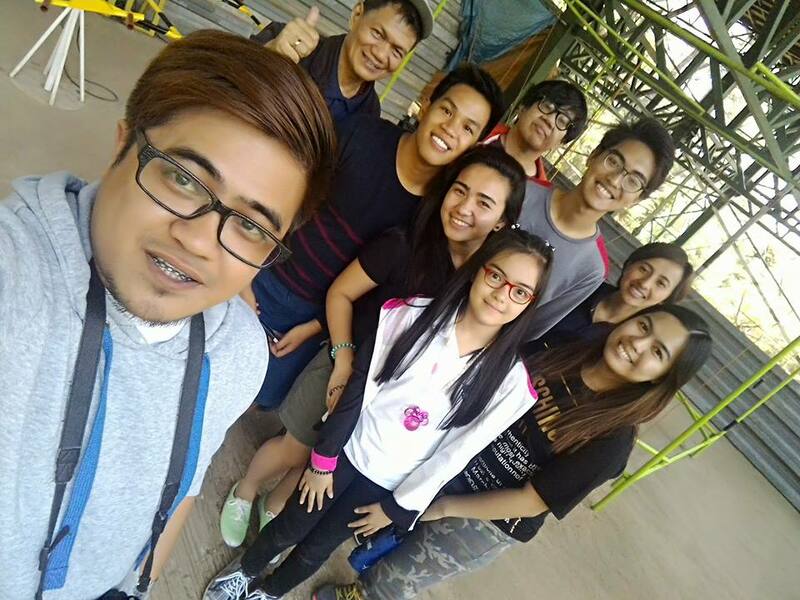 I try to look for a great venue, exciting team building activities at a very affordable price. The problem is, our budget is usually not enough, so most of the time, we end up renting a private pool with accommodation. If i remember it right, the last time I was able to attend a legit team building was when I was still a student during our leadership training and recently I was very lucky to be part of Tag Media's Baguio Blogger Getaway (thanks to Ms. Grace Bondad Nicolas) where we tried out Tree Top Adventure Baguio's team building activities as well as their motorized rides. 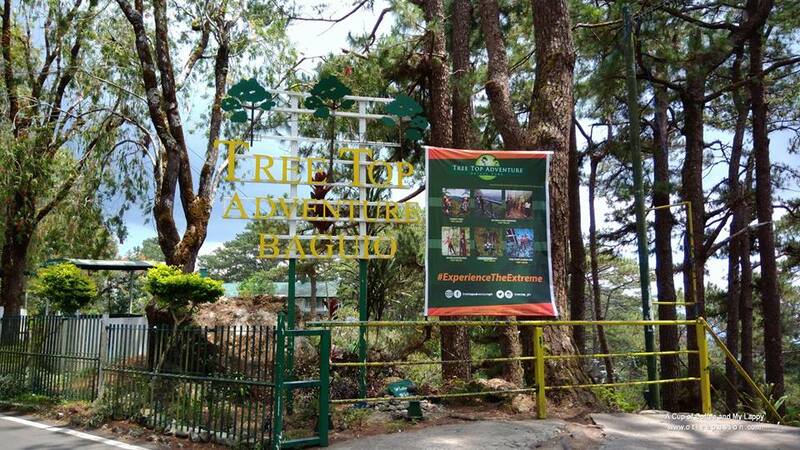 Located at Special Tourism Economic Zone, Camp John Hay, Loakan Road, Baguio City, Tree Top Adventure Baguio (TTAB) is a nature park established last 2010 that offers motorized rides (the first in the country) and team building activities that involve mechanisms/equipment. All of the rides are very safe and TTAB Staff who are trained in Standard First Aid, Industrial Rope Access Work and Basic Rope Access Rescue are always on standby if ever something unwanted happens inside the park. Prior to entering the park, you have to pay a P100 fee which is consumable and can be used in trekking and rides. After payment, you need to attend a brief orientation that will tackle restrictions/prohibition from trying out the rides such as being under the influence of alcohol/drugs, pregnant, heart conditions, height requirement (must be 3'8 above), extreme fear of heights, subject to motion sickness, recent minor/major surgery and other medical concerns. Your furry friends are also not allowed in the pavilion. So for the first day of our Baguio Bloggers Getaway, we were grouped into two teams: Team Pia and Team Tanders. We were tasked to perform different team building activities that must be finished at the fastest time possible. Points will then be totaled and the winning team will be revealed. 1. Team See-saw: Your team must balance in this Kamikaze-inspired see-saw for 5 seconds till the propeller turns and a buzzer goes on. You must check the light seen in the middle which indicates if you are not balanced (red) or balanced (green). This will test your group's patience and communication skills. We had a hard time finishing our first activity (4 minutes +) so I'm pretty sure we lost this one. Make sure that you also follow the instructions of your facilitator to avoid any injuries/incidents. 2. Loop Lift: You must balance all the marbles found on each of your handle bars as well as the marble at the center of your contraption and you must transfer it onto the station at the fastest time possible. This activity will surely test your patience and coordination. I think this was the easiest although we didn't know at first that we can have three tries and that we should transfer it to the other station as fast as we can. So I guess we lost this as well. 3. Gem Drop: There are a number of ropes that you have to pull or loosen to control the hook that you will use to get the "gem" and to shoot it in the correct container. Again, you should place all three gems in their containers at the fastest time possible. This will also test your coordination. We had a hard time on this activity as well. We were supposed to quit after our first gem but then we decided to finish all three. In the end, we felt really happy and proud of our achievement even though we finished this at around 30 minutes. 4. Bar Lifter Balancer: Your group must raise all your metal bar at a certain height to turn on the buzzer using ropes. Seems easy but each metal bar has a marble that you have to balance during the process. A minimum of 2-3 marbles are allowed but more than that means you failed the activity. This will test the group's patience and coordination. It looks really complicated but we were very happy to have done this in 2 seconds! But the fastest recorded time for this activity is 1 second. 5. ABC Game: Members of the group should form two lines and should be standing back to back. A member should shout a letter of the alphabet then another member should shout for the next letter (should not be beside or at the back of the last member who shouted a letter) till they finish reciting the 26 letters in proper sequence. You need to stay focused and aware the whole time to get the fastest time possible. This is by far my favorite among all the team building activities we tried. It was fun especially during the time when we wanted to beat our fastest time. Plus the view was magnificent as we did the ABC Game at the Sky Walk. 6. Pipeline: Each member should hold a bamboo pipe using one hand which will be used to transfer a rolling pingpong ball from the starting line up to the small bucket at the finish line but make sure that you do this fast without letting the ball fall off the pipes. This is the by far the hardest out of all the activities we tried because it requires speed, focus, coordination and a whole lot of patience every time the ball falls out of the pipe and even in the basket itself. Yes, we were that close to finishing the activity then we weren't able to shoot it inside the bucket. Just imagine the relief we felt after we completed the Pipeline. 7. Plank Step: Members will use 4 planks to transfer from the starting point going to the finish line without touching the ground/floor. You must reach the end point at the fastest time possible. This requires balancing because you need to fit all your members in 4 planks, especially the last person because once you reach the end point, you have to pick up each plank making you stand up and go down a few times. 8. Treasure Hunt: It has 3 parts. First, you have to arrange a puzzle that will show where the hidden treasure is. Once you see the X mark, ask 2 of your members to run and get the "Bulol" or the statue. Once they return with it, the facilitator will give you the last part of the hunt which is a secret code that you need to figure out. First team to finish all three parts will win this activity. We were the first team to finish the Treasure Hunt Game, thanks to Redgy who was able to answer the secret code. Unfortunately, this wasn't enough to make us win against Team Tanders. Great job guys! It was a tiring day but we had so much fun trying to complete the tasks. Too bad that we didn't win, but still I'm very proud of how our group, Team Pia, performed that day. To energize and to refresh ourselves, we went back to our hotel. For the second day of our Baguio Bloggers Getaway, we were supposed to try out all their motorized rides (if we do not have anything that can be found in the prohibition). Since I don't have any problem when it comes to my health, I am allowed to experience every ride. I am scared of heights. But when they assured us that their motorized rides are very safe plus we get to wear heavy duty ropes/harnesses, I was convinced to give it a try. The scariest part was when he asked me to let go of the metal bars and completely hang face down, then you realize your up at 60 ft. Then everything else after that was fast paced. Just let it all out. Scream if you want to. Then seconds after, your back on your feet. Awesome experience. Although I'm not sure if I'll try it again soon. Here's a Facebook Live I did after our ABC Game at the Sky Walk as we trek back to the pavilion. I was scared trying this I thought I might be able to sustain holding on to that bar in front, but thankfully, I survived superman ride! Enjoy the view on your left, which is the Itogon Mountains. This was a fun ride but I felt scary every time it stops and then it starts to sway. I am also not too confident to sit on the rope which was the right way to ride the silver surfer. I preferred holding on to the bar the whole time. I love the views during the canopy ride except that one time where you only see trees beside you and under your feet. By the way, this is the best route that you should try to avoid long walks from one ride to another. 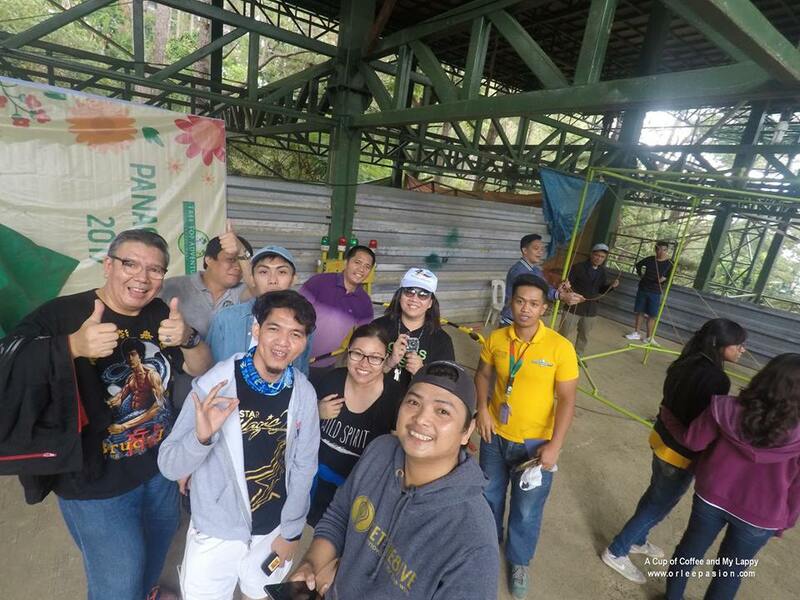 My Tree Top Baguio Adventure experience was indeed a memorable one because I was able to try a lot of new things: the team building activities and of course the heart-pumping motorized rides. I definitely enjoyed it and I highly recommend that you try all these soon. Thanks to Ms. Grace of Tag Media for the opportunity and to Sir Jace and Sir Riley of Tree Top Adventure Baguio for accommodating us. Will surely bring my family here the next time I'll be in Baguio. For inquiries and reservations, you may contact (74)4420800/09324041112 or email baguio@treetopadventureph.com. You may also visit their Website for more information and follow them on their social media accounts: Facebook, Twitter, Instagram and Youtube to get updates on ongoing events and promos. Power Clean Chemicals: My new household buddies!